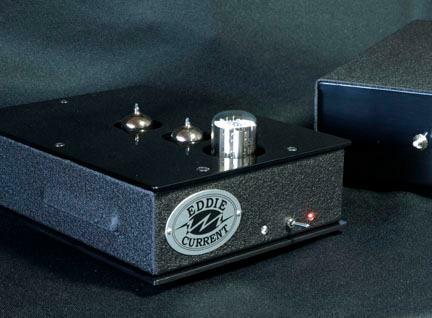 Eddie Current Transcription Phono Preamp? Discussion in 'High-end Audio Forum' started by robinje, Mar 17, 2010. My TA is very, very quiet with the stock tubes. I have to turn up the volume on my Zana Deux SE to absurd levels to hear ANY hiss or 'tube rush'. At normal listening levels, the rig is silent. I have some Telefunken smooth plate 12AX7's (matched pair with balanced sections) that I intend to try, but I a extremely pleased with the stock tubes. I should have mentioned - even with the "noisy" tubes, the noise was never audible at all at normal to loud listening levels - only when I would turn the volume on my Cary up to 10:00+, which would be crazy-loud levels. However, I could have the AE at that level without noise. But with the second set of tubes, I can get to 12-1:00, which was about the same as the AE (and would be speaker-blowing). My Sunfire amp is very high gain, and I use the balanced output on my Cary, so I never, ever get to 9:00 on the Cary's volume control, even in full-tilt boogie. 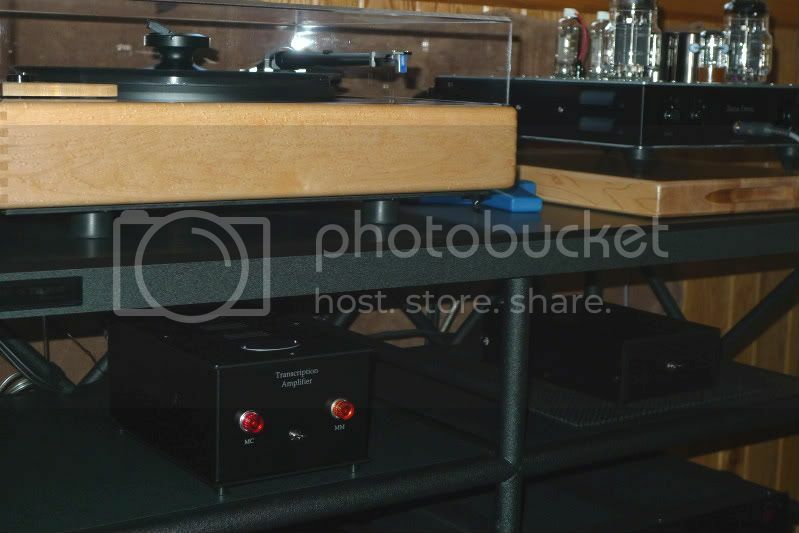 But I think a phono amp should be quiet well beyond what are reasonable listening levels. Again, though, the Transcription is that quiet, with the right tubes. what table and amp is that? if a tube is noisy then the pre will be noisy, a bad tube will take a quite pre and add noise that any gear could not silence. Not sure what you point is other than to point out the obvious that if you place a noisy tube in a phono pre it will add noise to your output? I bet one of the 12AX7's is for the left channel, and one for the right. I would be very surprised if it were otherwise. Similarly, one half of the 6SN7 would be for the left, and one for the right. "The three RIAA time constants are employed passively. The first half of the 12AX7 drives the 3180uS, and 318uS time constants, the second half of the same tube tube drives the 75uS time constant. In addition the TA employs a fourth time constant 3.14uS to recover phase from the 50kHz filter used in the cutting process. By placing the 75uS passive low pass filter after the gain stages most of the noise is rolled off. This is a no feedback design so the sound stage is much more open then any solid-state design regardless of price. The tubes in the TA need to be matched, and quiet. 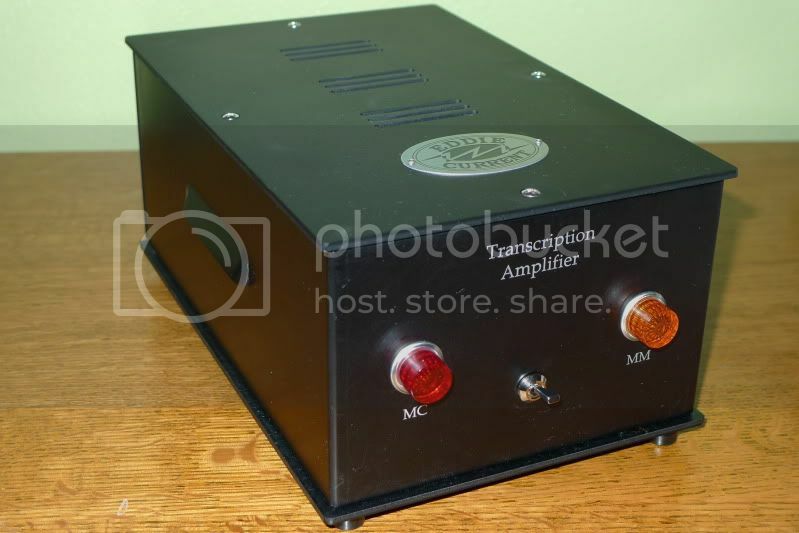 Listen to the amp first with the supplied tubes, and then try your Telefunkens. The 6SN7 is used as an impedance converter, cathode follower. The difference between the best sounding 6SN7 and the new production tube used is very slight, but you can try other tubes there. The only unknown is the grid capacitance. The TA final EQ time constant takes into consideration that the new stock 6SN7 tubes used have a consistent grid capacitance. If your NOS tube is different it could change the top end response slightly. " This is a SOTA Nova Series V vacuum turntable in birdsye maple with an SME 309 tonarm and Ortofon Kontrapunkt B cartridge. The amp headphone/preamp is (of course!) an Eddie Current Zana Deux SE. I loaded my Telefunken smooth plate 12AX7's into the TA and my first impressions are that the highs are a little crisper and more open. The bass seems less in quantity, although maybe a bit tighter, than with the stock tubes. I don't know if I prefer these expensive NOS Tele's over the stock tubes or not. The stock 12AX7's work GREAT in this amp and I assume these are the tubes the TA was designed with. Fascinating. I stand corrected. That helps explain why the first pair of 12AX7's was not quiet enough to do the job, but the second pair was, although again, that's not really a surprise. In any case, the Transcription is terrific sounding. Resurrecting this thread. 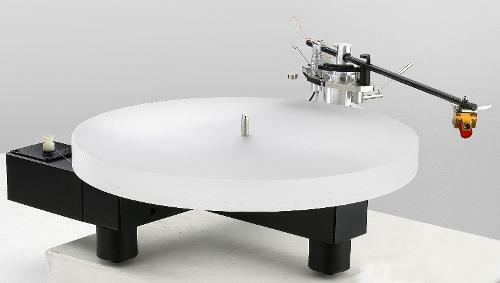 I put myself on the list for the EC Phono Amplifier (ECPA), as it is called now. Really love the ZDT, and really looking forward to his phono preamp. Wow it looks so different now. And that looks like a silver plate. Hi All. Considering this as an option. 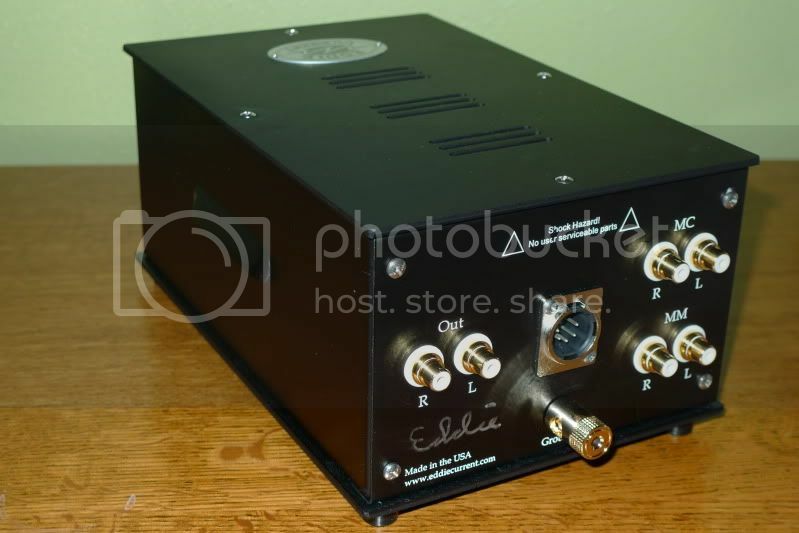 I am an owner of his Balancing Act Headphone amp which is currently acting as my pre-amp ATM in my 2ch rig. Be keen to hear of some further updates in the time that you have had this unit. You still happy with your ECPA?